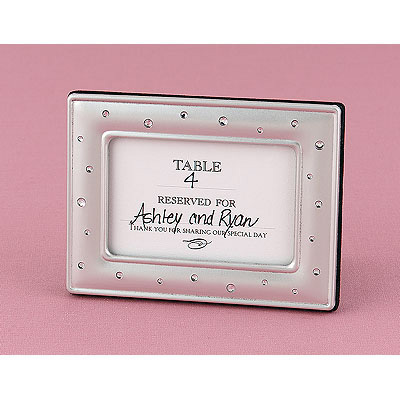 Rectangular, silver-tone frame features rhinestone accents and holds a 3" x 2" place card or photo. 4" x 3". (Place card not included.). Price is per rhinestone frame placecard holder. Must order in increments of 6.